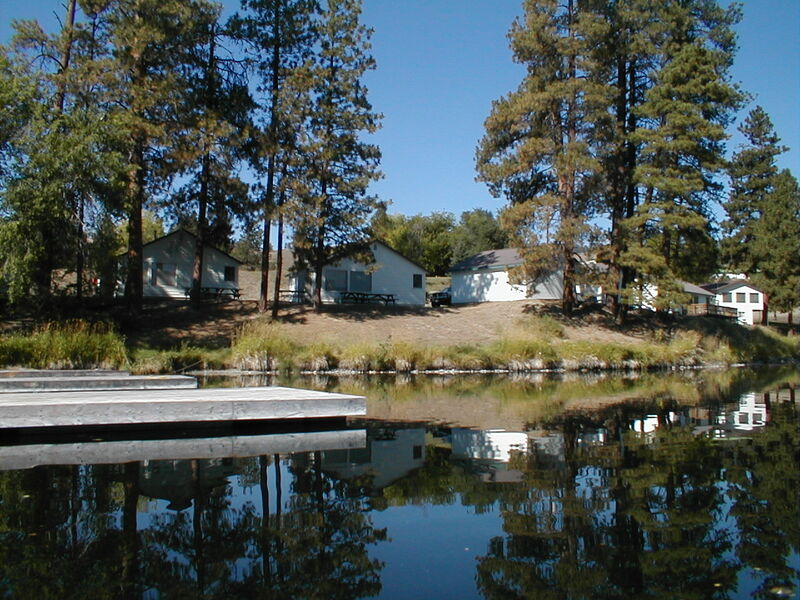 Enjoy a touch of added comfort & warmth in one of these deluxe carpeted two bedroom cabins. 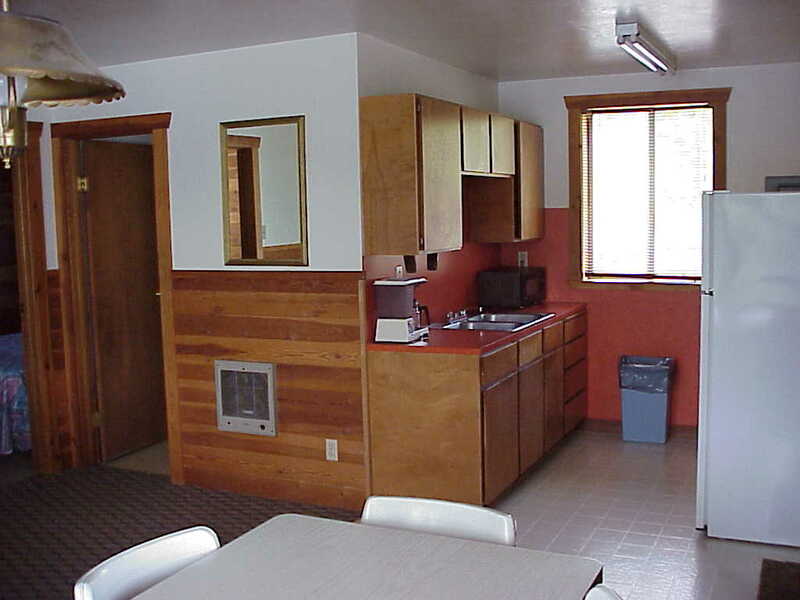 Furnished with two queen beds, a hide-a-bed and dining table with chairs for six, this pet free cabin includes a fully stocked kitchen with all cooking and eating utensils, refrigerator with freezer, electric oven with stovetop, coffee pot, toaster, microwave oven and more. Just bring the food! Free Wi-Fi access. 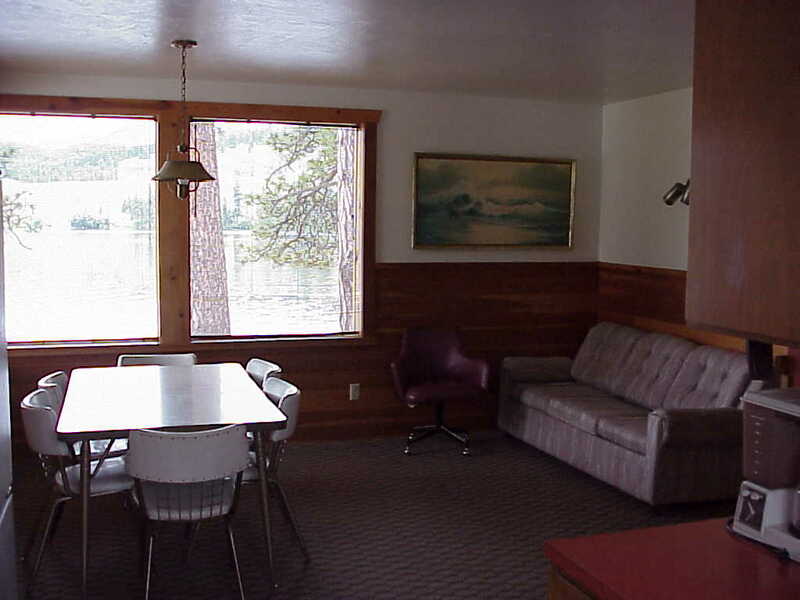 Enjoy living on the lake in this lakefront cabin with stunning views of Curlew Lake. With large glass windows, view the sunrise over the lake while the water glistens with its reflection below. See resort map.